Along with ensuring your loved ones are well taken care of in the comfort of their home, it’s also a top priority of Senior Helpers to ensure we add value, smiles and memorable moments to the lives of the elderly. 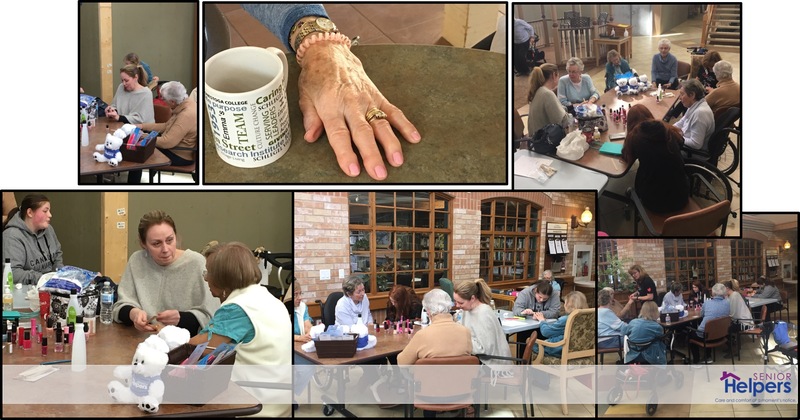 With that in mind our Director of Care, Eileen Brown and some Senior Helpers staff, recently helped lead a “Spa Day” for the residence at The Village of Taunton Mills in Whitby. Not only did they all end up with pretty nails, humbly speaking based on the pictures below but each customer of the free manicure received a nail buffing brush to keep those fancy nails looking great and shiny!